Dallas, Texas, June 16, 2008 – Global DataGuard, the premier provider of network behavioral analysis-based (NBA) Enterprise Unified Threat Management for small and medium business to large enterprise environments today announced that the company’s fully integrated Enterprise UTM solution provides comprehensive event and global threat management, along with actionable business intelligence, via an easy-to-use, instant view of prioritized threats and the underlying data that created them – all from a single console. According to Forrester Research Inc., a key mistake that IT executives make when implementing a strategic plan is not linking IT initiatives and metrics to business needs, making it impossible to know whether or not the plan is on track or producing the desired results. Global DataGuard’s patent pending Security Dashboard Module (SDM) correlates and prioritizes threats from multiple security, network and server sources, including signature-based analysis, logs, network zone or policy violations, vulnerability scans, asset database information, and vendor and global threats. The SDM automatically links these threats to the business assets they target within various network segments or lines of business, making alerts and remediation recommendations more relevant and useful to network administrators and management, who can not only identify threats before they compromise network resources, but also create metrics and track overall security operations performance. A security event and threat manager, the SDM continuously monitors and updates a repository of all known assets, threats, vulnerabilities, logs, and behavioral and signature IDS alerts, which are then collected, integrated, correlated and normalized for each organization and also from a global community of external sources. It instantly displays the most critical network threats in a clear and simple format, determines the best path for remediation and gathers data for forensic reporting. Secure reporting, analysis and visualization that can be combined with comprehensive role-based security, audit analyses and GUIs to deliver the right information to the right users the right way. The Security Dashboard Module is fully integrated with all of Global DataGuard’s industry proven, enterprise-class applications and powered by a patented network behavioral analysis and correlation engine. This unique approach enables businesses to realize far better performance and service at a substantially reduced cost of ownership – up to 80% over other event management alternatives. Further, it ensures that customers can efficiently achieve and maintain ongoing regulatory compliance with PCI, SOX, HIPAA, NERC CIP, NCUA and FISMA standards. Available immediately, the Security Dashboard Module is priced at $30,000 in the U.S. This Security Event and Threat Management system can also be leased with turnkey managed services for $2,500 per month. Competing SIEM systems and integration services can cost hundreds of thousands of dollars or more. 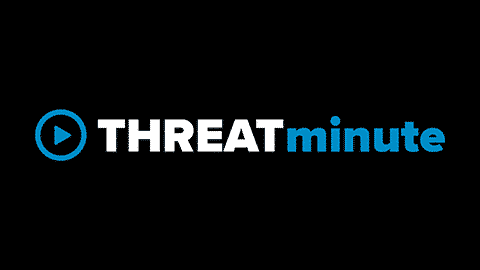 The Security Dashboard Module is a fully integrated, plug-n-play component within the Global DataGuard Enterprise UTM++ solution, and custom configurations can be designed and priced based on an organization’s unique network requirements.